Eldredge Road Maple Four Seasons (TRE208) was selected by photographers nation wide for publication in the January 2018 issue of Shutterbug Magazine. A theme is published each month by the magazine for reader to submit works to. 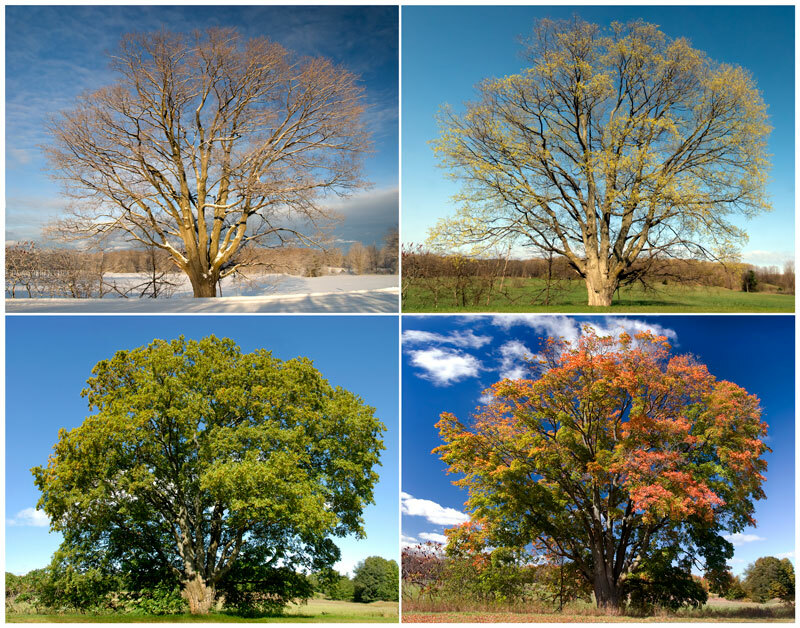 This month’s theme was “The Four Seasons” and the editors admitted they were unsure what photographers might submit but suggested that this photo had ‘nailed it’and apparently enough readers agreed. The shot is composite of the same lovely mature Maple tree on Eldredge Road just east of Beulah here in Benzie County.